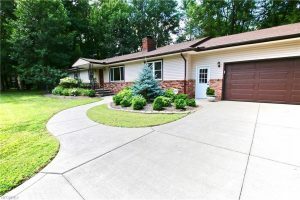 Gorgeous 3 bedroom 2 full bathroom ranch located in the heart of mentor!! Inside you will find an open concept throughout! The kitchen offers plenty of counter space with a big island and stainless steel appliances. 3 spacious bedrooms with plenty of closet space, 2 full bathrooms. The garage is able to fit 4 cars with how deep it is! This home features so many great updates.